CAL FIRE law enforcement arrested a suspect arsonist Monday for suspicion of setting several wildfires in Butte County. 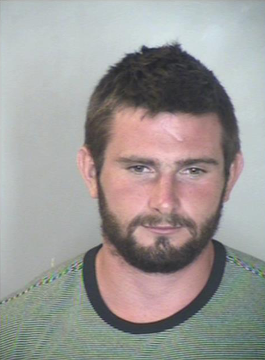 CAL FIRE Officials identified the suspect as Charles Richard Benish, 24. Benish is suspected of setting four fires in the Feather River Wildlife area. Officials said the first fire was reported to CAL FIRE's Emergency Command Center in Oroville at 6:34 p.m. Monday. Officials said after a two mile pursuit, Benish was detained by a CAL FIRE Peace Officer and was placed under arrest with the assistance of the California Highway Patrol. Officials said Benish has been charged with four counts of arson to forestland, found counts of being armed with a firearm in the commission of a felony, one count of willfully evading a pursuing peace officer's vehicle, and one count of driving under the influence. Benish is being held on a $371,000 bail. Chief Darren Read of CAL FIRE/Butte County Fire said, "Thanks to swift and accurate reporting from the public, our law enforcement officer was able to quickly apprehend this suspect and firefighters were able to rapidly contain the wildfires"
CAL FIRE officials continue to urge the public to be vigilant outdoors and report any suspicious activity. The public can provide valuable assistance by following these steps; do not approach the individual or individuals engaging in the suspicious behavior, report behavior to law enforcement, and if safe to do so, note the description of the individual to include location, gender, height, weight, clothing description, hair color, and any distinguishing characteristics such as tattoos. Officials added one of the most important pieces of information for investigators can be the time the behavior is observed, so be sure to make note of that. If a vehicle is involved in the suspicious activity, the following information can also be helpful to investigators; make and model of the vehicle, color of the vehicle, location and direction of travel, license plate number-even partial number can be useful, bumper stickers or other markings, and number of people in the vehicle including their descriptions.